A beer for every season. That is what the rich history of brewing teaches us, and it’s a spirit we like to embrace at Molly Maguire’s. Our craft beer-loving friends enjoy our ever-changing rotation of seasonal beers, and for good reason. Seasonal beers are an integral part of beer culture, the changing of the seasons, and enjoying life. Winter’s cold weather has always brought with it a tradition of strong, warming beers such as strong stouts and barleywines. These beers were often brewed a year in advance and stored until winter, giving them time to mature into hearty beers for when the temperature drops. 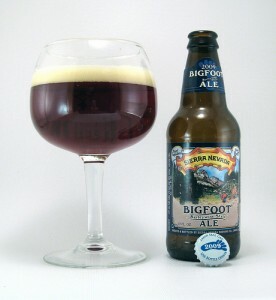 Modern brewers carry on that tradition with beers like Sierra Nevada’s Bigfoot and Founder’s Breakfast Stout. In the spring and summer, beers become lighter and more approachable, dominated by refreshing wheat beers and other easy-drinking brews that originated as a way to keep farmers’ thirst quenched while working in the fields. Styles such as saisons, farmhouse ales, witbiers and wheat beers spring directly from this tradition. For autumn, beers grow darker and maltier. Beers for October were often brewed in March, hence the actual name of the Oktoberfest style, Marzen, which means “March beer.” These filling but approachable beers were perfect for the autumn months and were great for pairing with robust autumn foods like grilled sausage – and they still are! Then the cycle begins anew, with the slow sippers of winter once again becoming the beer for the season. At Molly Maguire’s, we celebrate this long tradition of seasonal beers with our constantly rotating tap selection. Visit in February and you’ll see much different beers than you would in July. Because after all, isn’t a beer for every season half the fun of enjoying great crafty brews? We certainly think so. And when you come in for your craft beer, remember that we sell and fill growlers! Follow us on Facebook to see what we’re tapping.